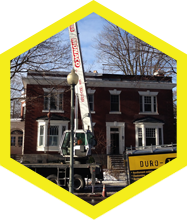 Discover the accomplishments of Les Couvreurs Duro-Toit. 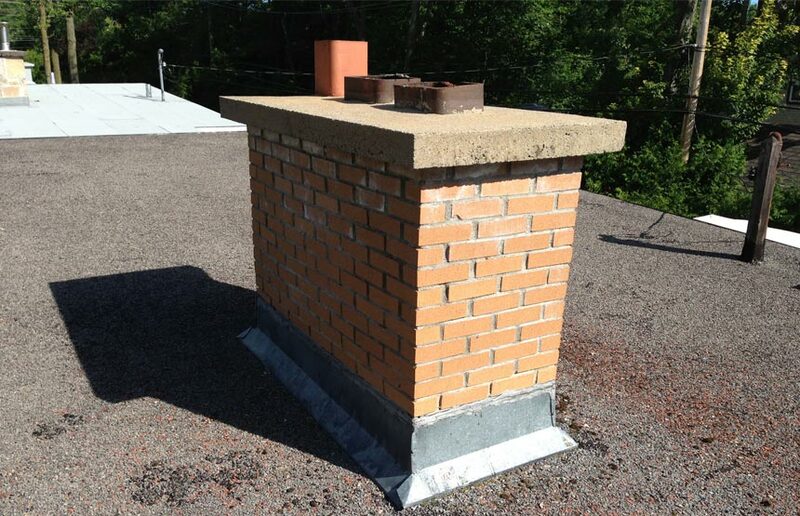 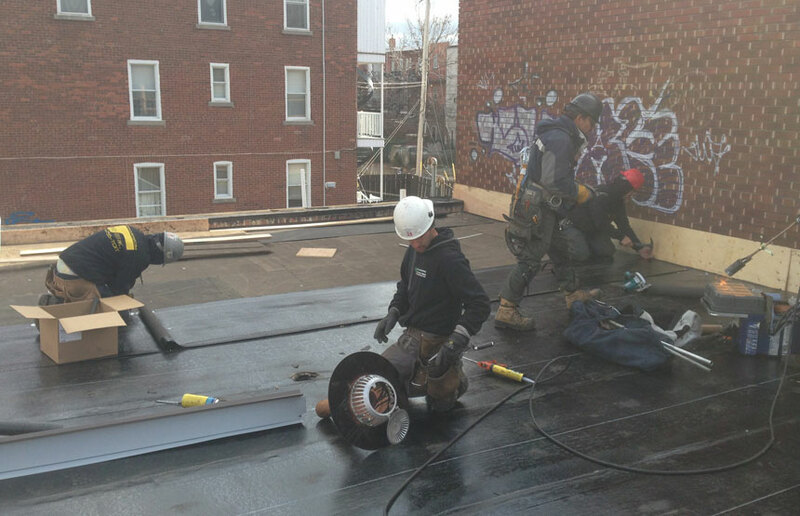 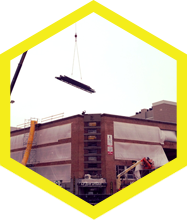 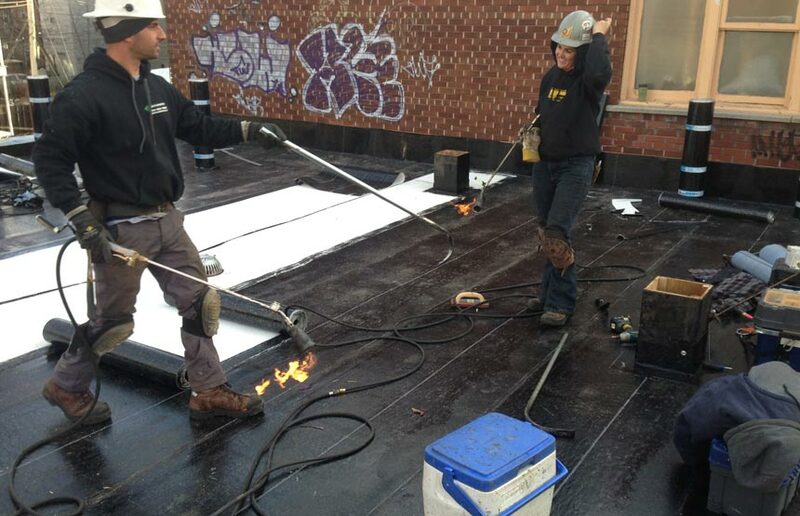 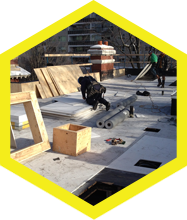 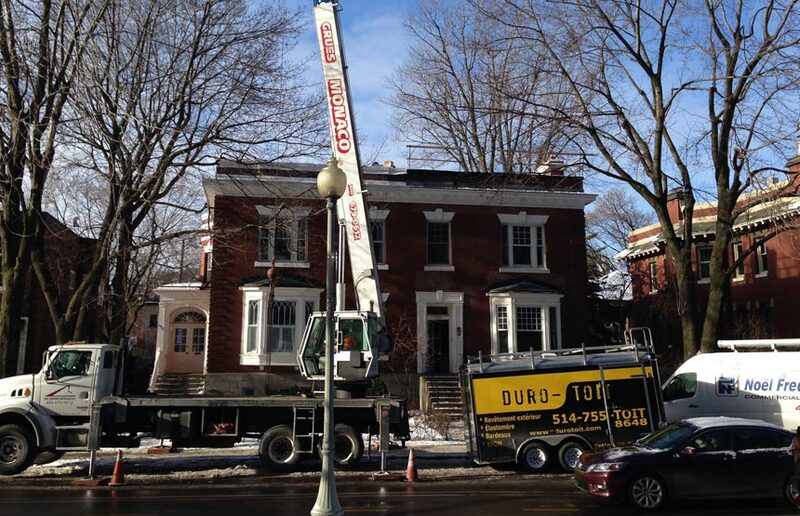 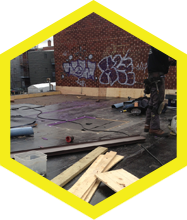 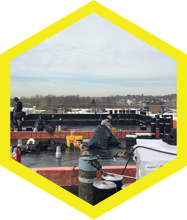 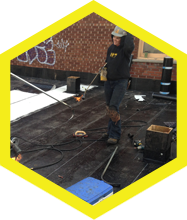 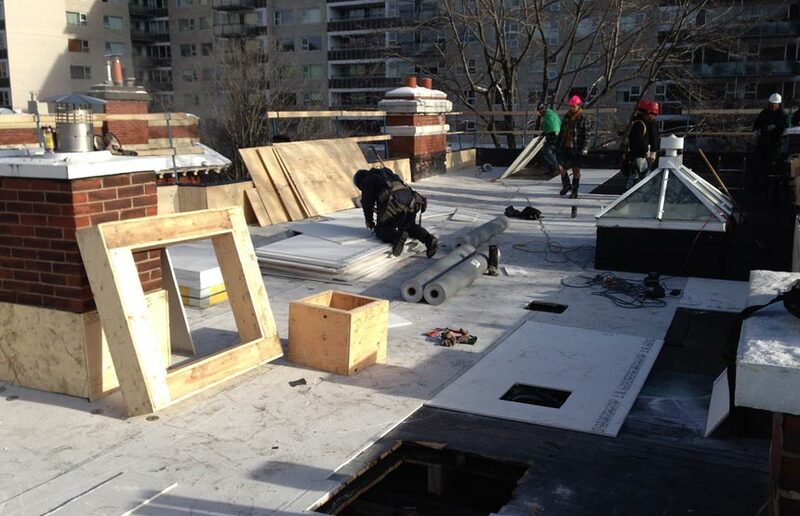 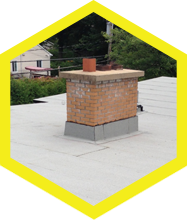 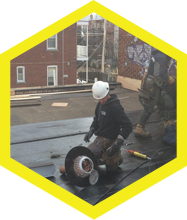 Our team excels in residential, commercial, and institutional flat-roof renovation projects. 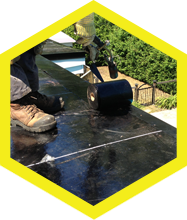 Manufacturers such as Soprema and Carlisle have certified the quality of our installations. 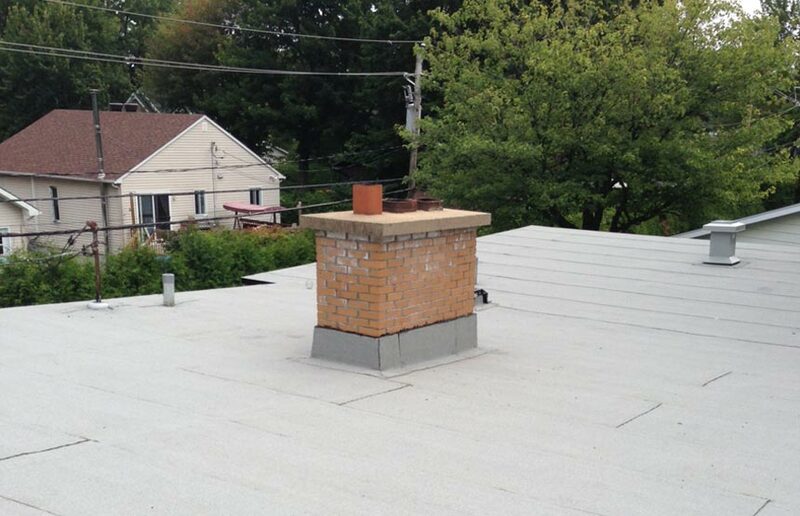 Contact us to take advantage of our expertise when it comes time to redo your roof. 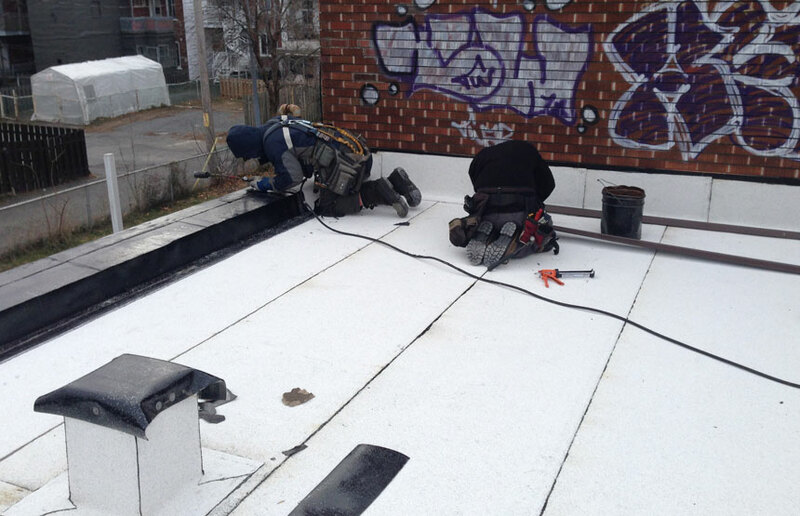 Les Couvreurs Duro-Toit renovated this roof in Laval. 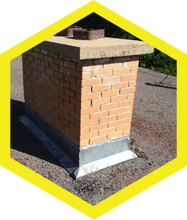 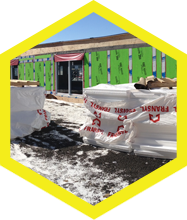 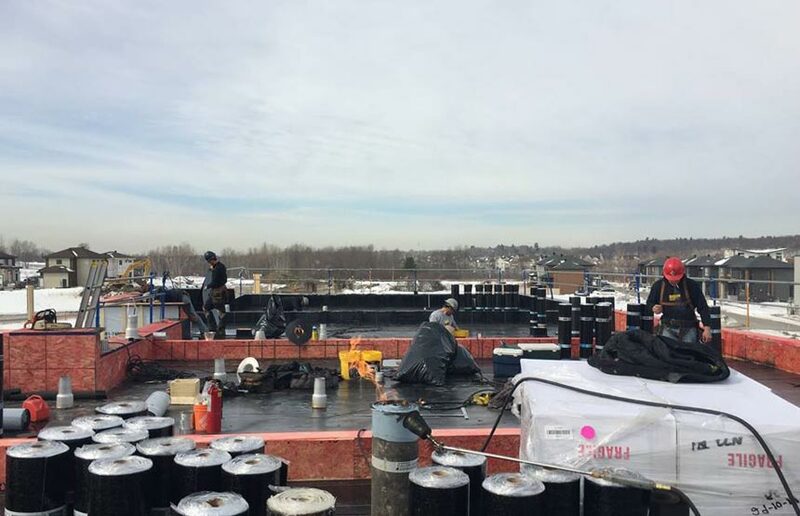 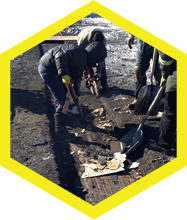 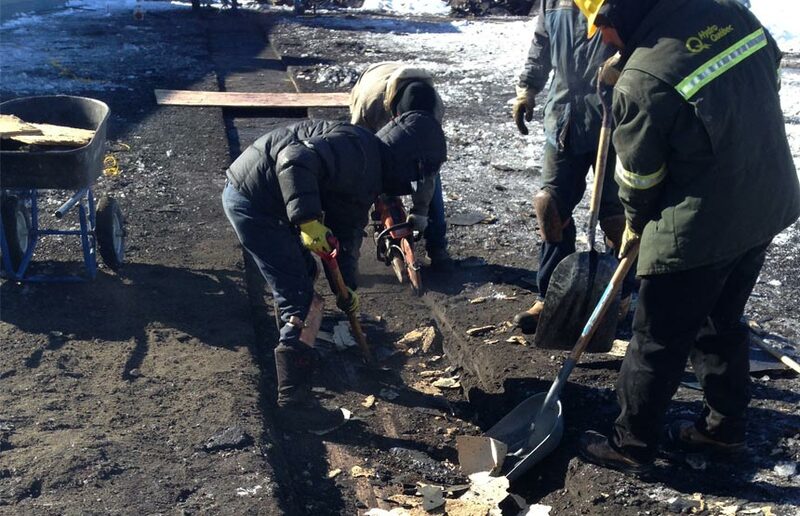 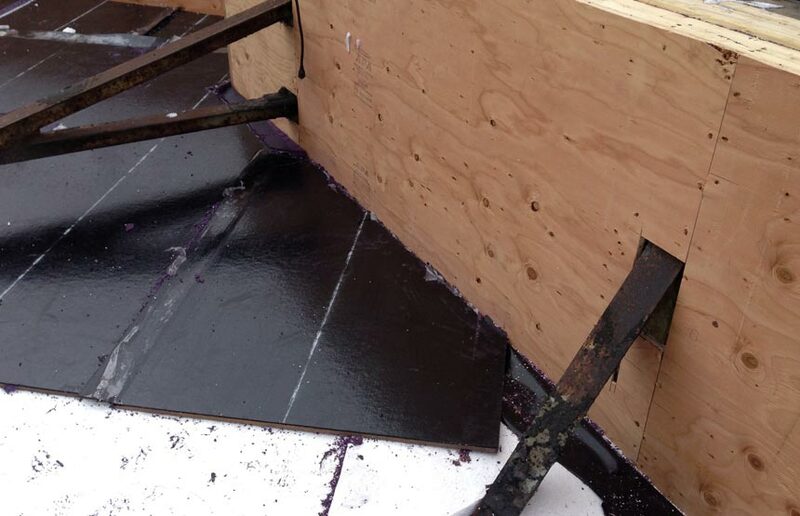 Our team first replaced the asphalt and gravel covering with a two-layer elastomeric membrane roof by Soprema. 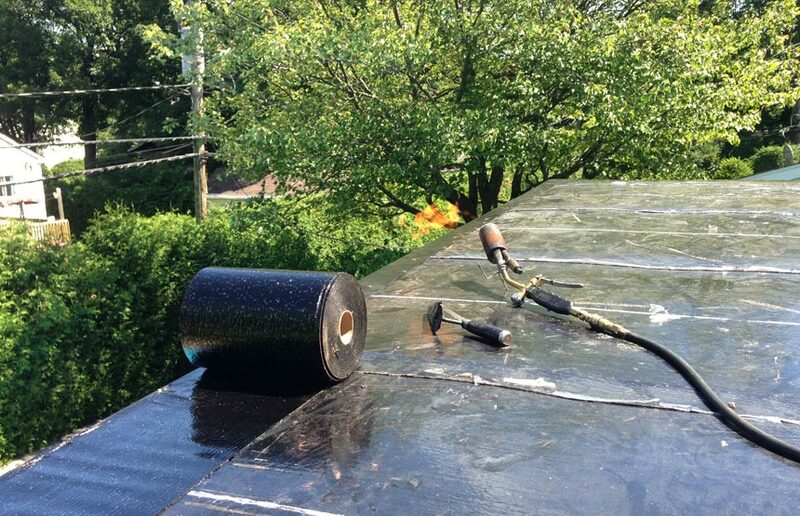 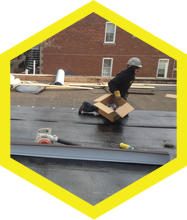 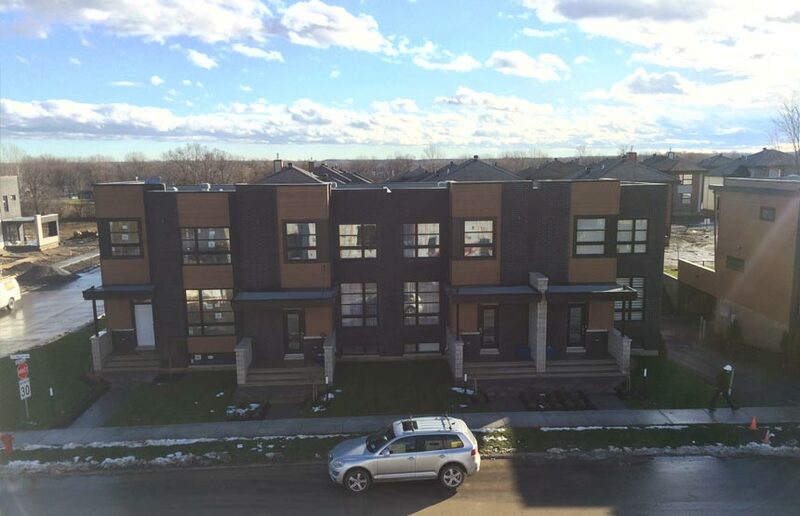 In addition, our roofers installed a new fascia to ensure the strength and durability of the roofing system. 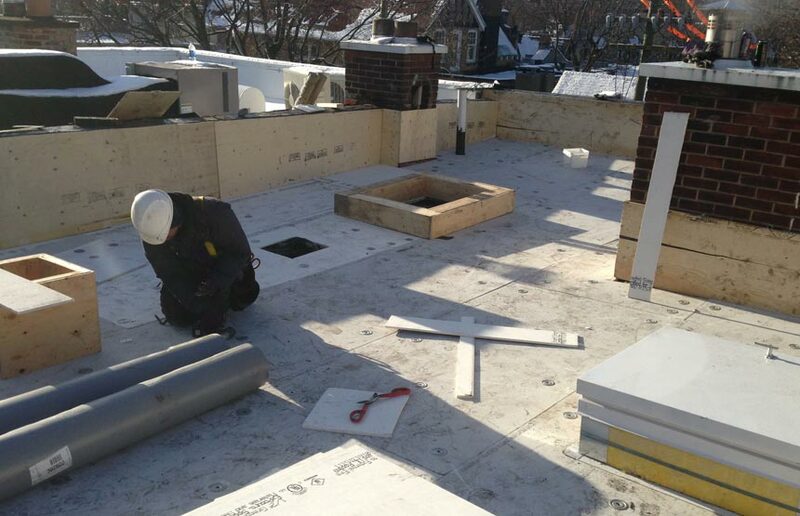 Our roofers installed this white roof. 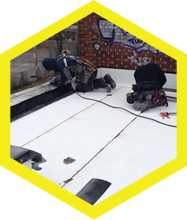 They replaced the asphalt and gravel covering with a white elastomeric membrane in keeping with the requirements of the city of Montreal. 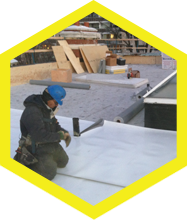 This ecological roof is ideal to counter the development of heat islands by means of the reflective index of the white membrane. 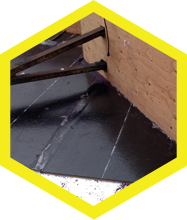 Les Couvreurs Duro-Toit participated in the realization of this white PVC membrane roof of a high Solar Reflectance Index (SRI). 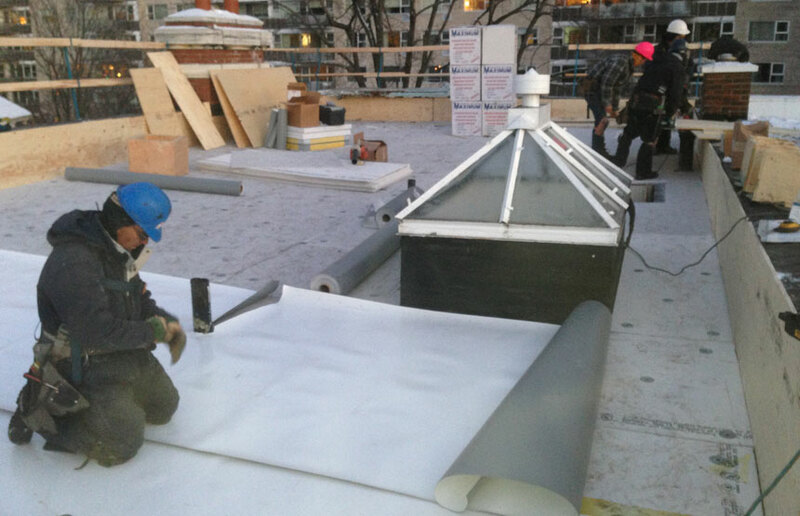 This work required an advanced expertise in PVC membrane installation. 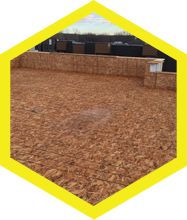 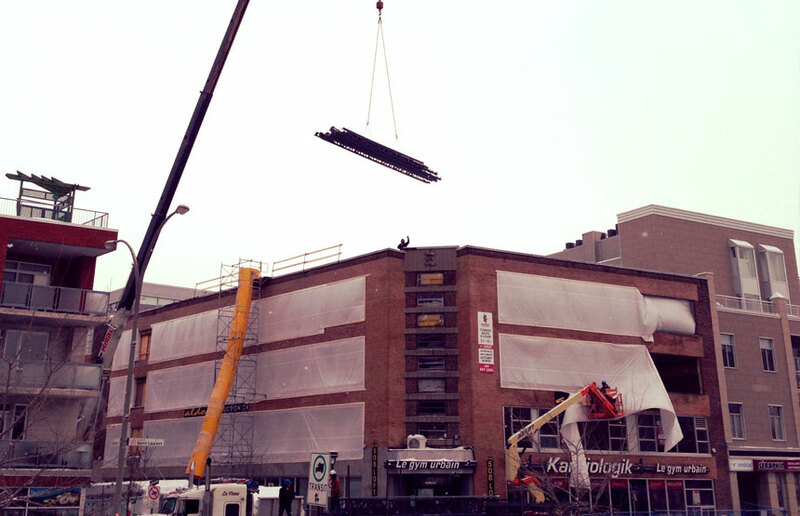 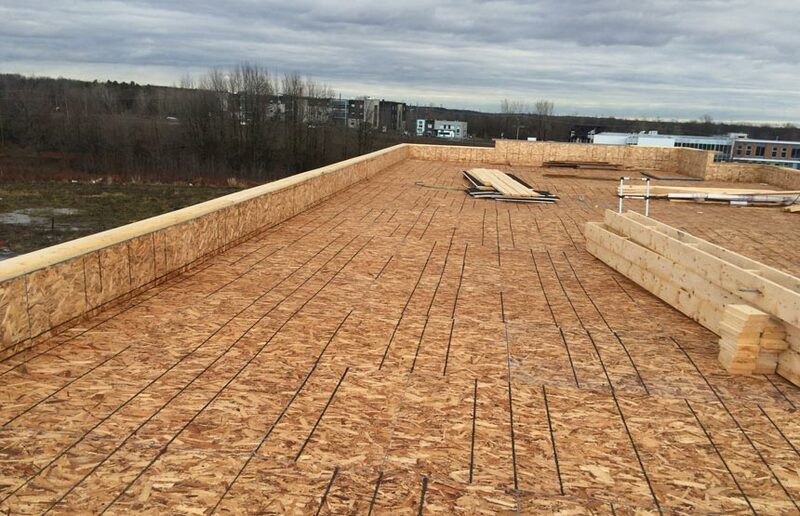 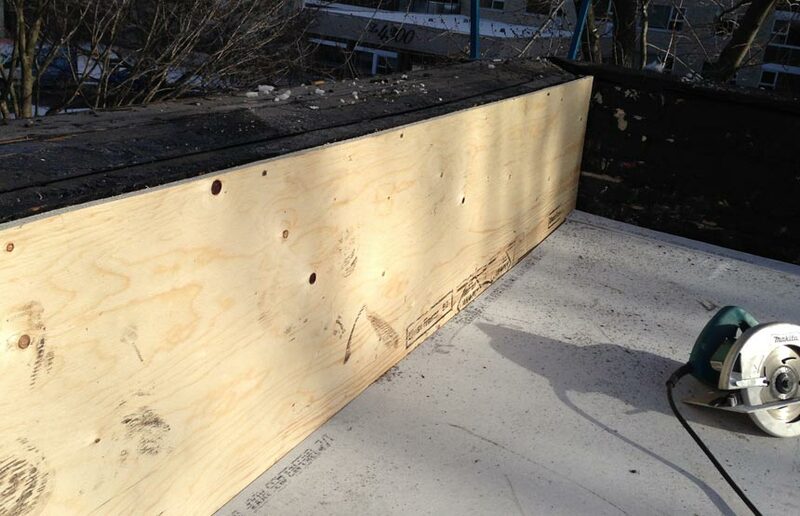 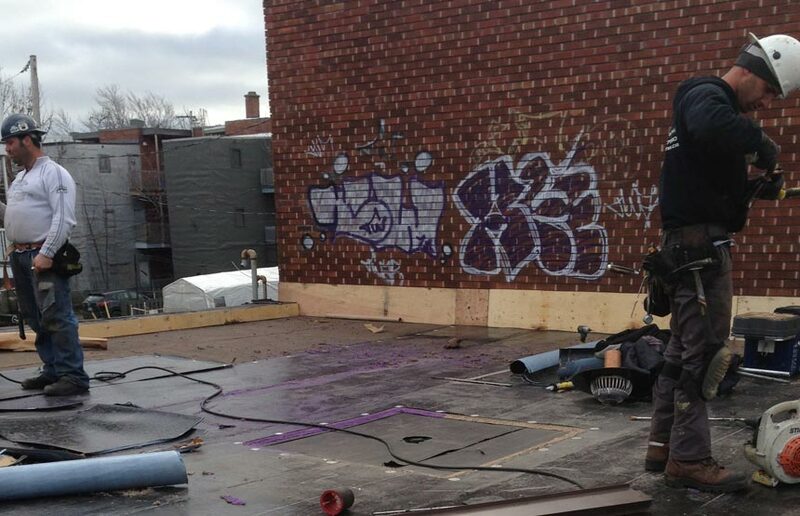 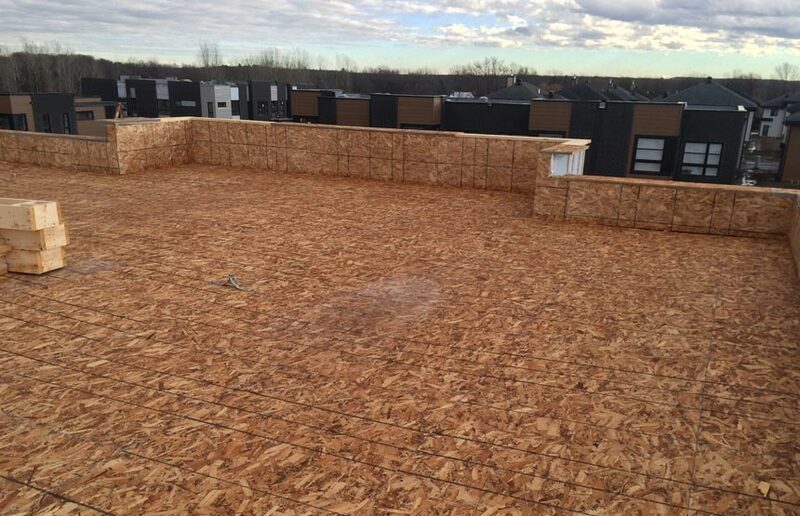 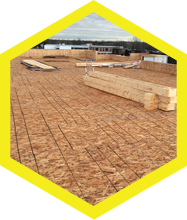 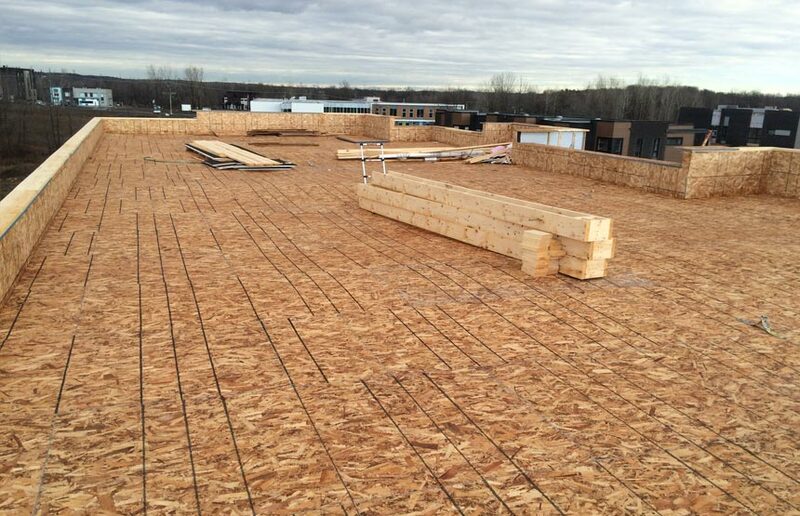 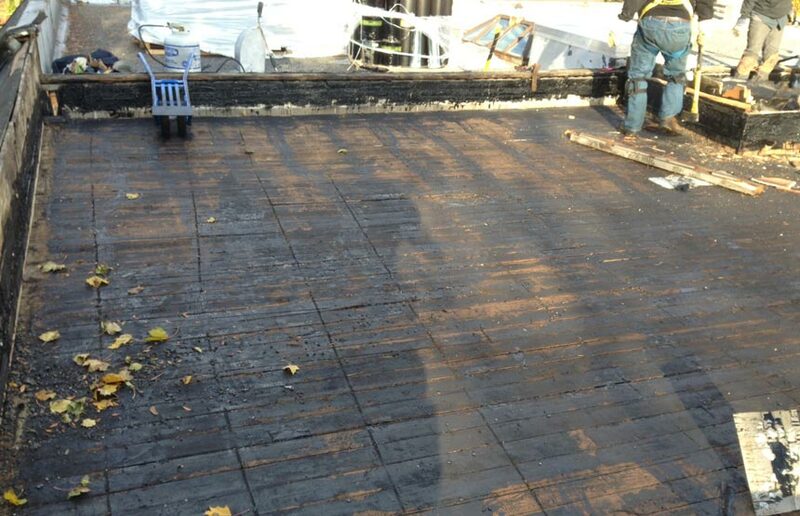 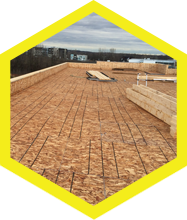 Our roofers optimized the wood decking to increase the building's strength. 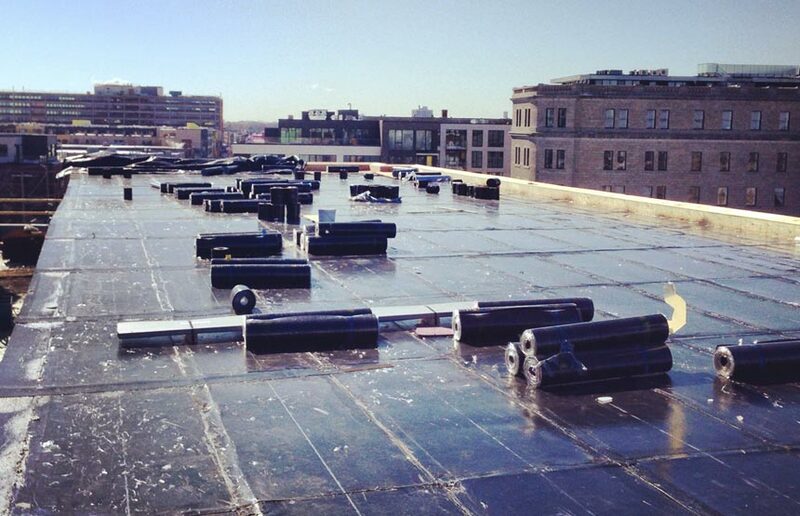 They also replaced the access doors and restored the skylights. 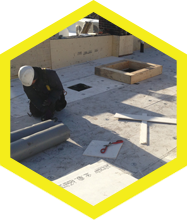 They were rigorous and thorough in their approach to all of the details of this roof. 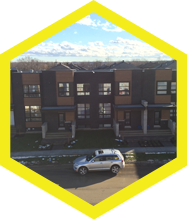 Les Couvreurs Duro-Toit participated in the construction of this magnificent project. 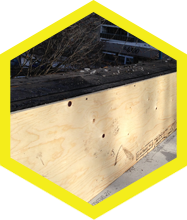 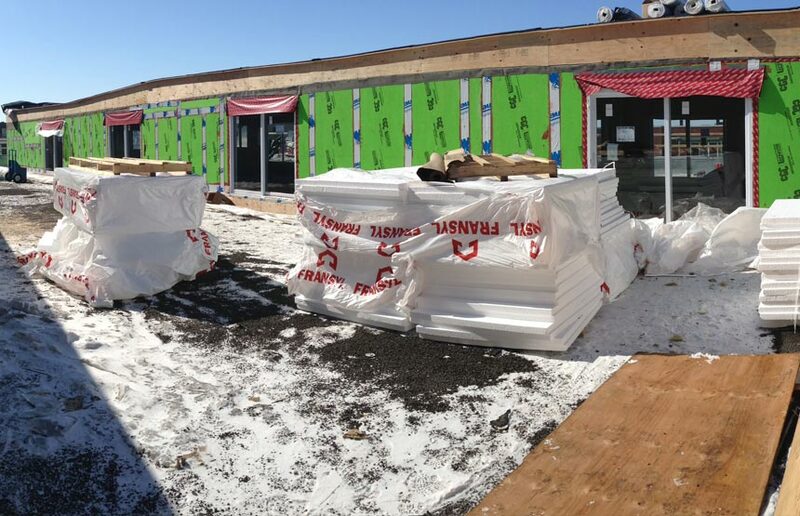 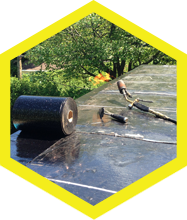 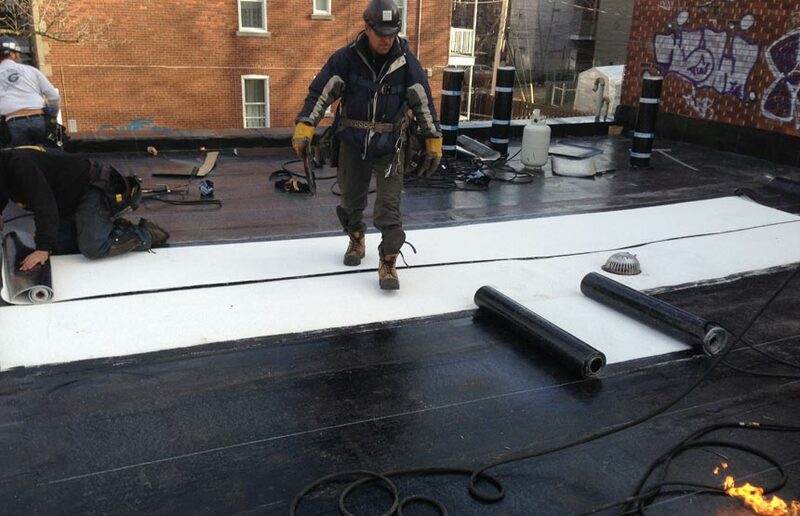 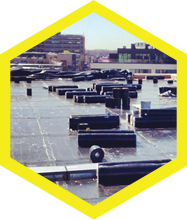 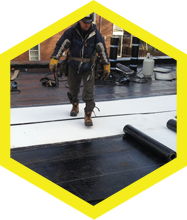 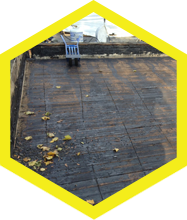 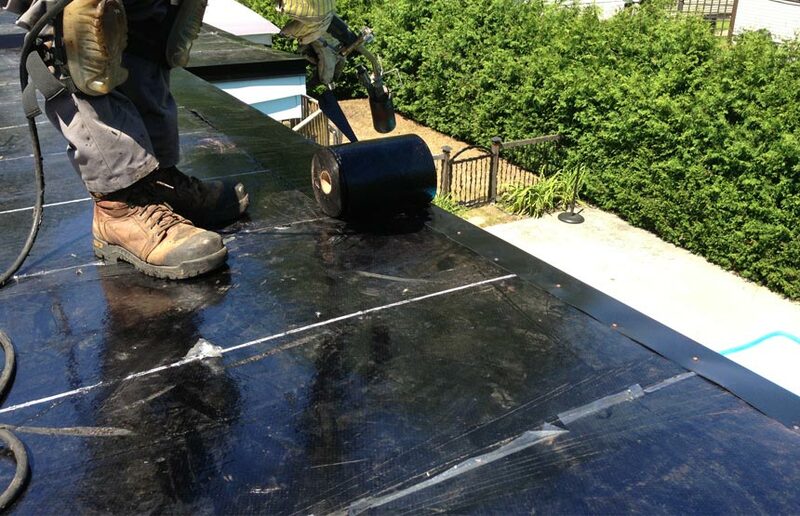 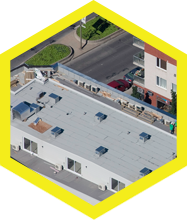 They installed a certified Soprema two-layer membrane to ensure the waterproofing of the roof. 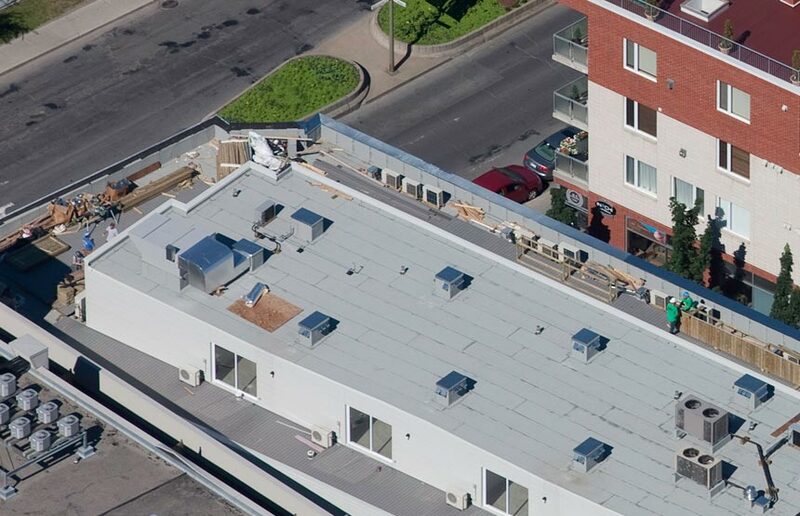 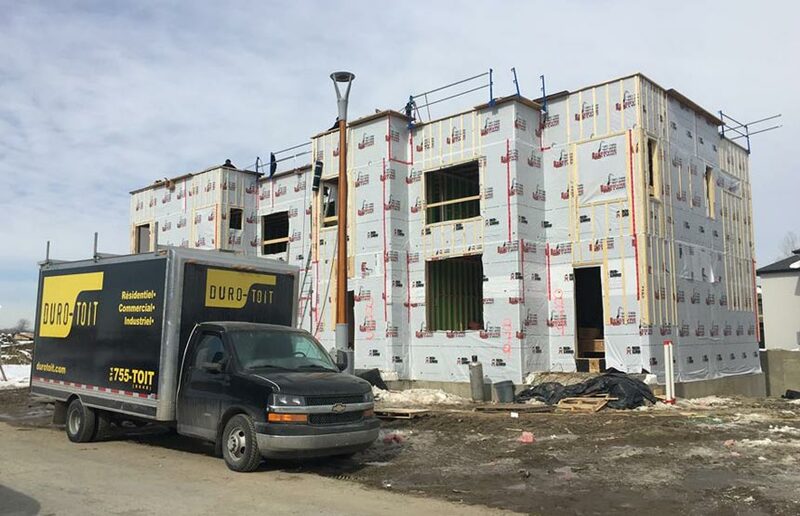 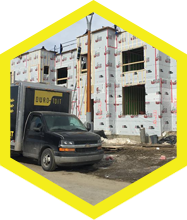 They also installed fans in order to optimize the ventilation of the new construction. 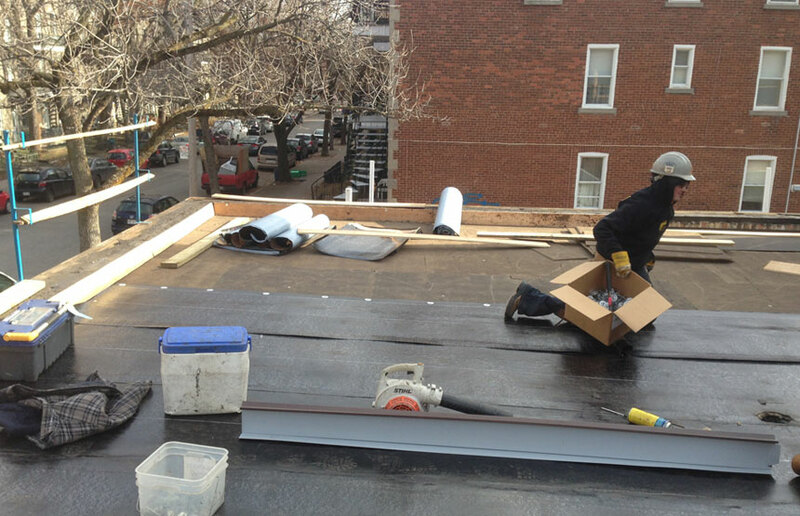 In addition, our tinsmiths built the steel work required for the roof.